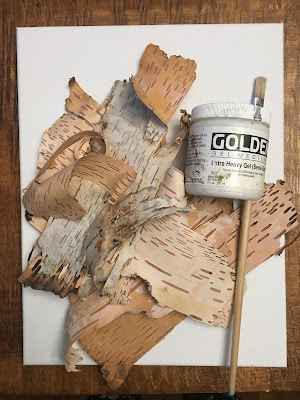 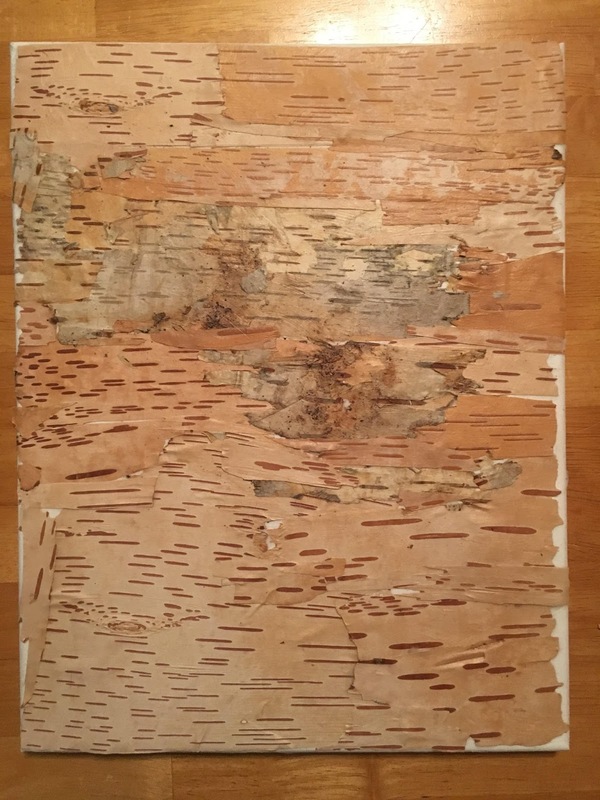 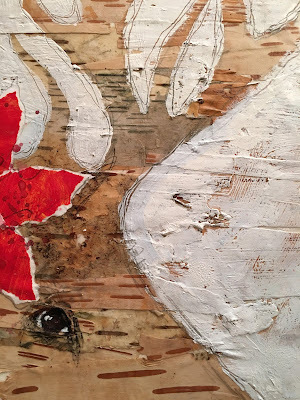 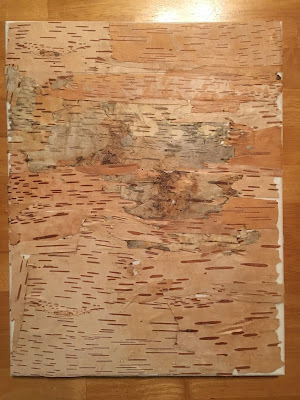 I glued layers of birch bark (which I separated into thin layers) using gel medium. 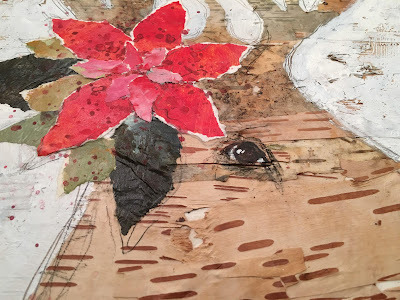 Once that dried I drew the stag outline and eye onto the dried birch bark background. 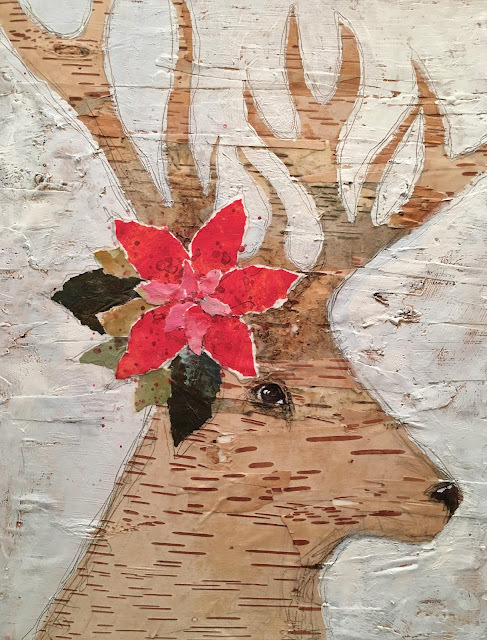 I used thick white acrylic paint to fill in the background and used the pencil to scribble lines into the wet paint around the edges. 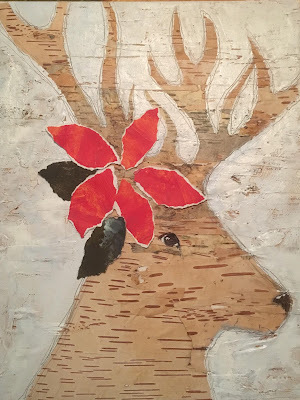 I let that dry and then used torn pieces of painted paper to collage on the poinsettia flower and greens. You could also add a greeting but I chose not to.